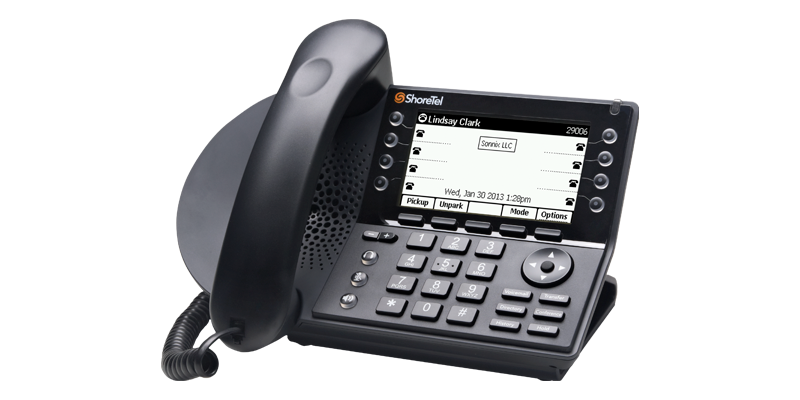 The ShoreTel IP480g provides 8 line appearances with an easy-to-read, back-lit display.The ShoreTel IP480g provides 8 line appearances with an easy-to-read, back-lit display. Expanded call history and directory along with visual voicemail are provided. An integrated 10/100 Ethernet switch allows a network drop to be shared with a desktop PC. Six feature keys and five soft keys provide easy access to ShoreTel features. A full duplex speakerphone and integrated headset jack are standard.